Get 10% off when you buy direct from us. You’ll get a Steam key to add to your library and can start playing right away! 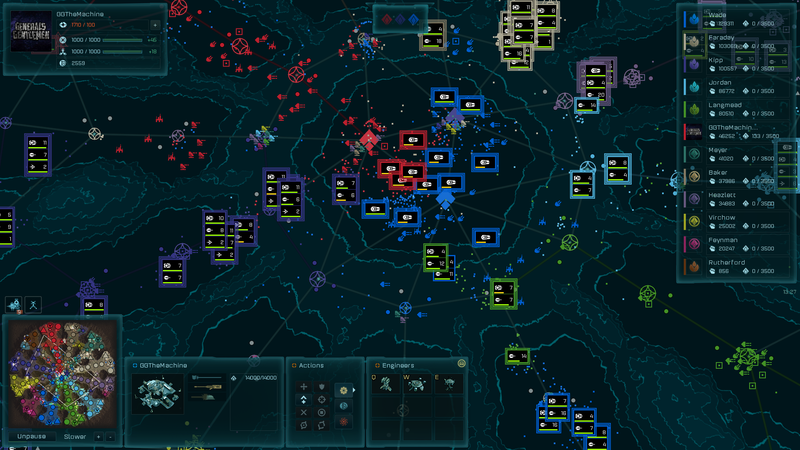 Experience truly massive wars with up to 16 people (14 players +2 observers) at once on enormous maps! 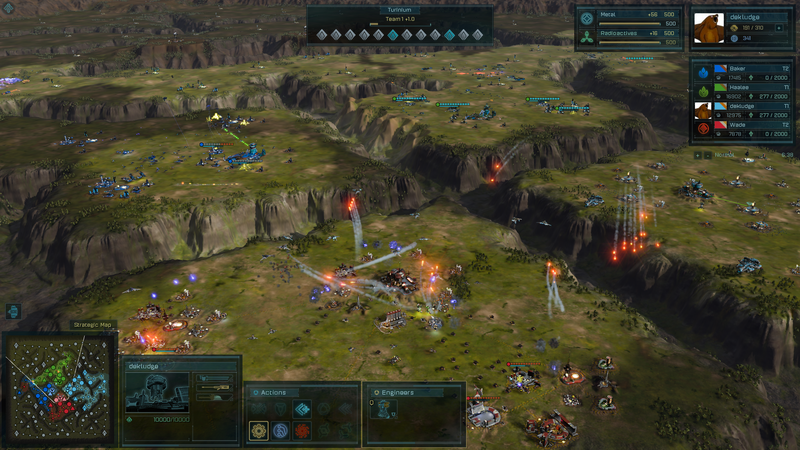 Face the challenges of multi-tiered terrain and use the Global View to zoom out into a strategic map that will allow you to manage your armies more easily. 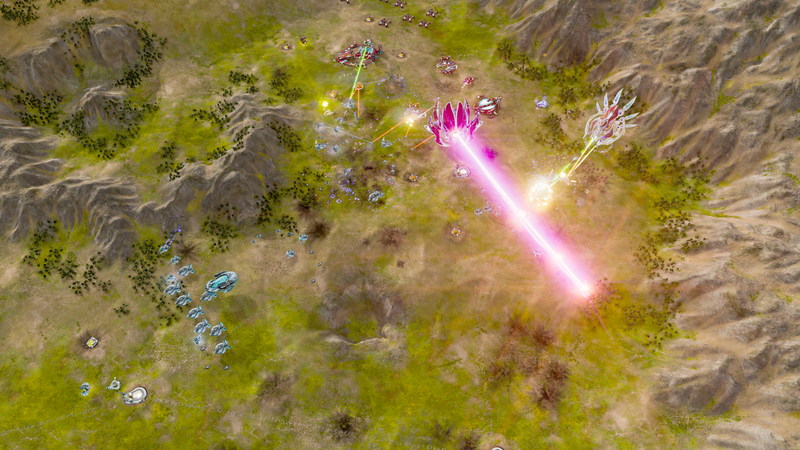 Surprise your enemy by using your quanta to call down turrets at critical moments in battle. 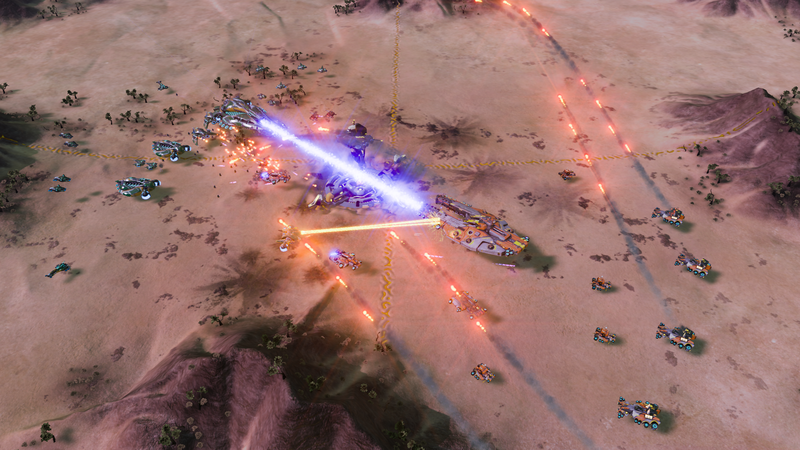 Defend regions or deploy turrets strategically to trap incoming units or cut off a retreat. Add to the gameplay dynamic with complex units for both the PHC and the Substrate! 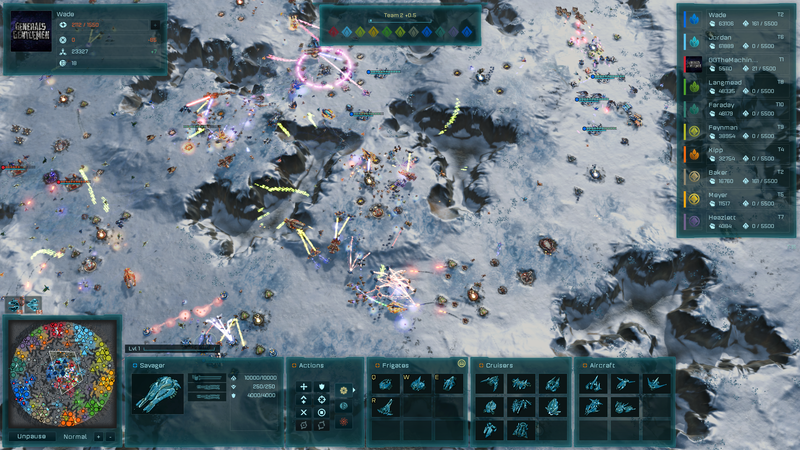 Unleash waves of devastation on your enemies with massive warships called Juggernauts, destroy large groups with heavily armored PHC units, or keep your armies going and bolster their defenses with energy and health replenishing units for the Substrate. 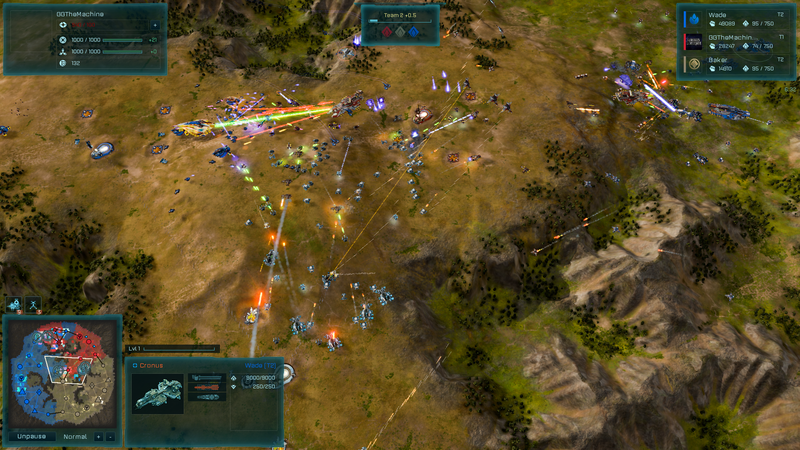 Bolster your defenses with upgradeable buildings. 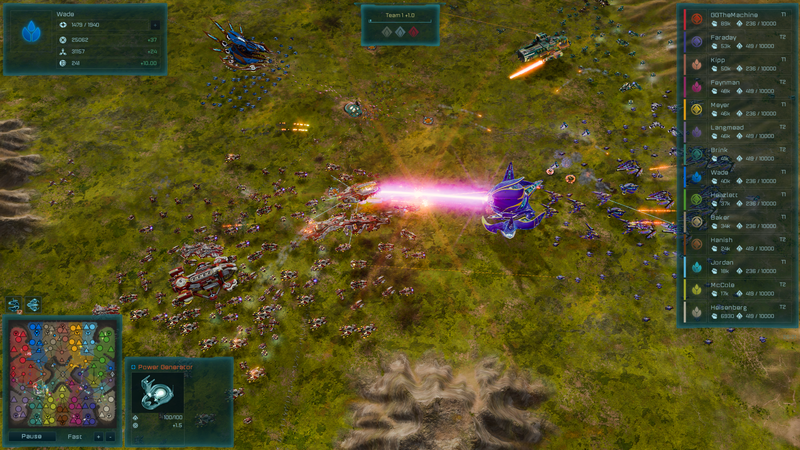 Unleash devastating advanced aircraft units on your enemies by building an Aviary or Advanced Sky Factory. 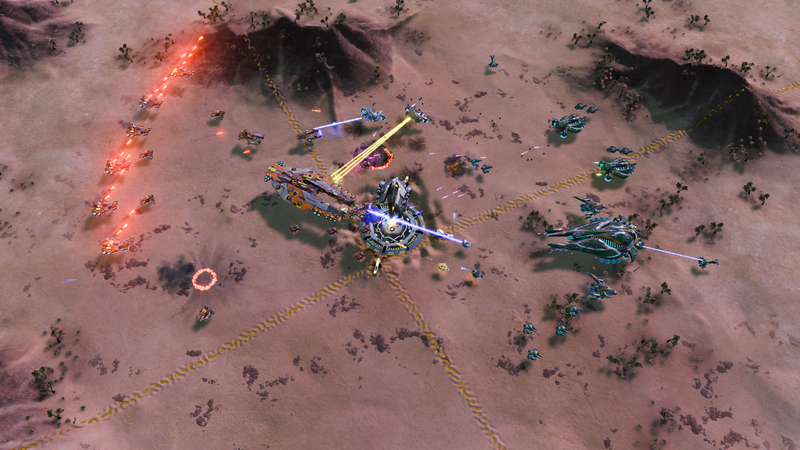 Lay traps for your enemies or surprise them from behind enemy lines with offensive and defensive turrets. See Haalee’s point of view and learn about the origin of the Substrate in the campaign “Memories.” Experience the next chapter in the “Escalation” campaign as the PHC faces external and internal threats. 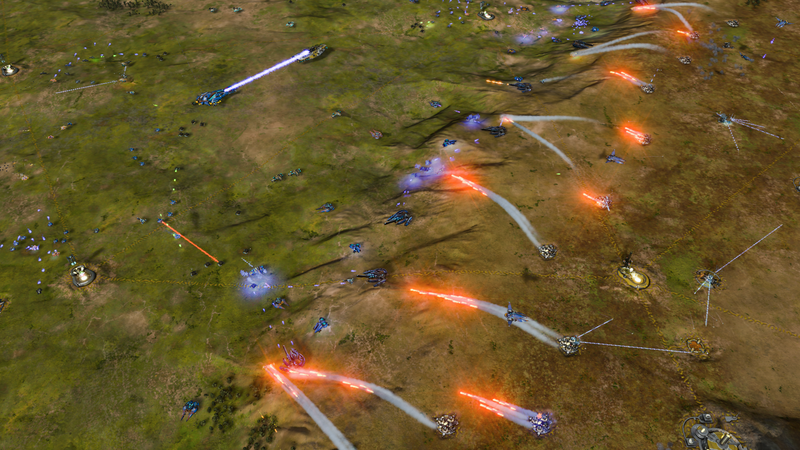 Travel to places like Crystaline and Volcanic worlds for exciting scenery for truly epic battles. Wage war across landscapes of massive crystal formations or storm your enemy’s base across spanning lava pits and burning terrain, and more. 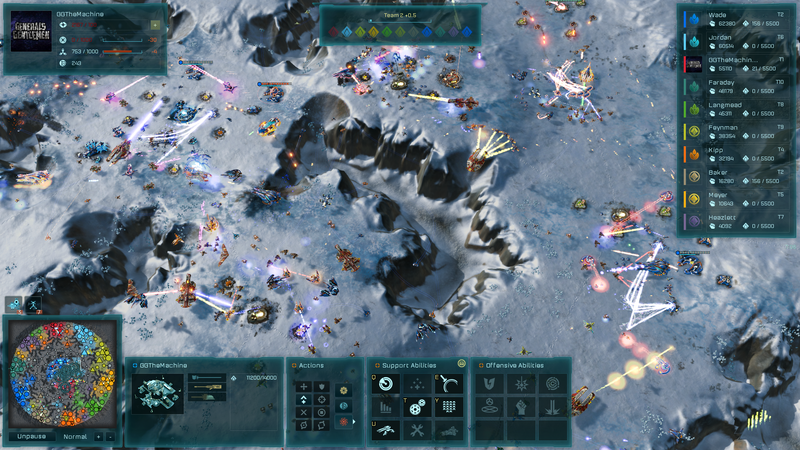 Items included in this edition: Ashes of the Singularity: Escalation, Epic Map Pack DLC, Overlord Scenario Pack DLC, Turtle Wars DLC, Gauntlet DLC, Oblivion DLC, Inception DLC, Secret Missions DLC, and the original soundtrack. 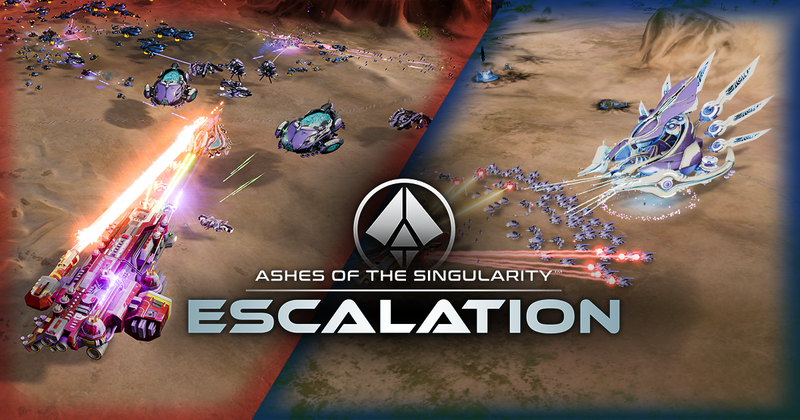 Exciting new scenarios, new units, and huge maps await you in Ashes of the Singularity: Escalation’s largest DLC yet! Take on the role of a PHC leader and conquer dangerous missions where the odds are stacked against you, or join with the Substrate to repel your PHC oppressors. 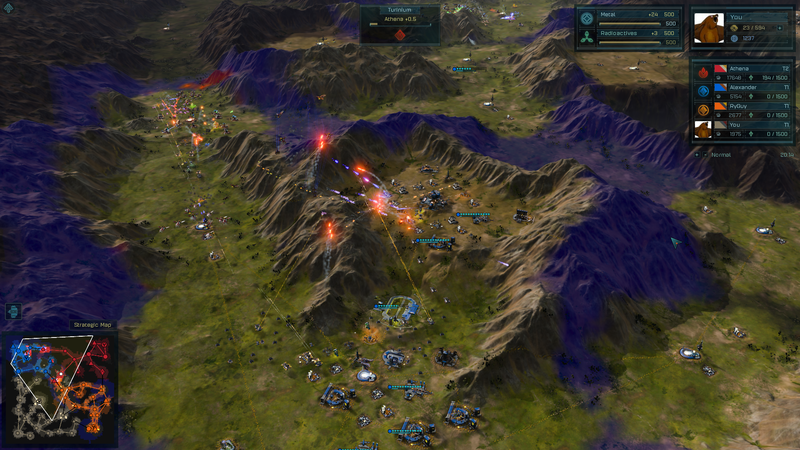 Engage your enemies on huge new maps, conquer one of the new scenario challenges, and more. PHC Atlas - This anti-air, anti-drone frigate is an excellent line of defense against Drone Hives. Since it only costs metal and doesn’t require radioactives, the Atlas is a less powerful, but inexpensive, alternative to the Apollo cruiser. 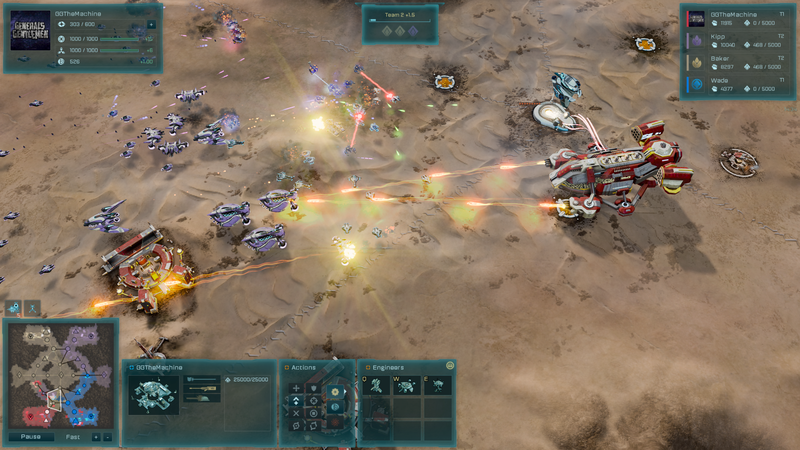 Substrate Tormentor - This indirect fire frigate is capable of saturating an area with artillery shells, causing damage to anything in its radius of attack. 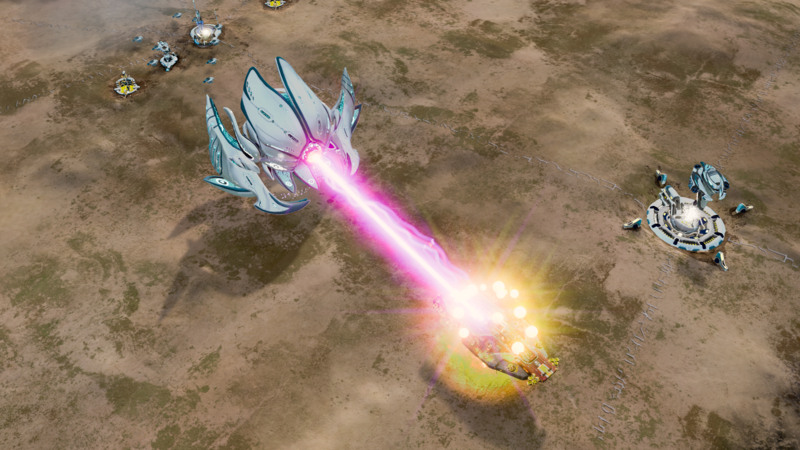 Although it lacks accuracy and direct single target damage, the Tormentor is at its most powerful against groups of units rather than structures. Ascension - The Substrate have developed a prototype experimental Eye of Darkness. 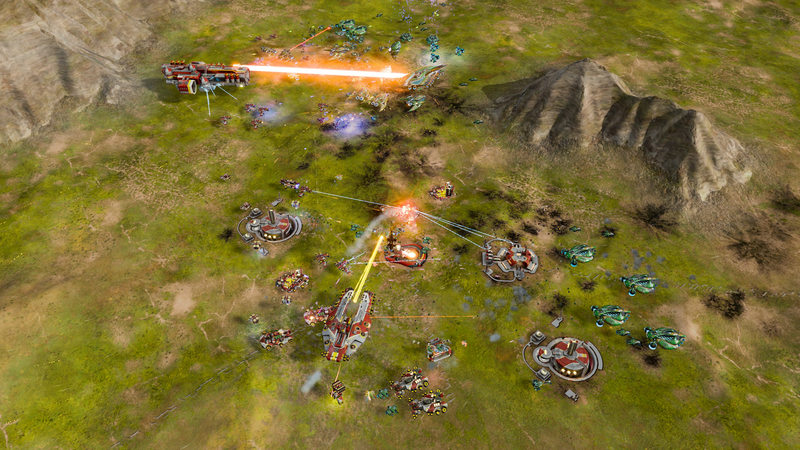 Build up your defenses and survive the onslaught of your enemy in order to destroy the weapon before it wipes you out. 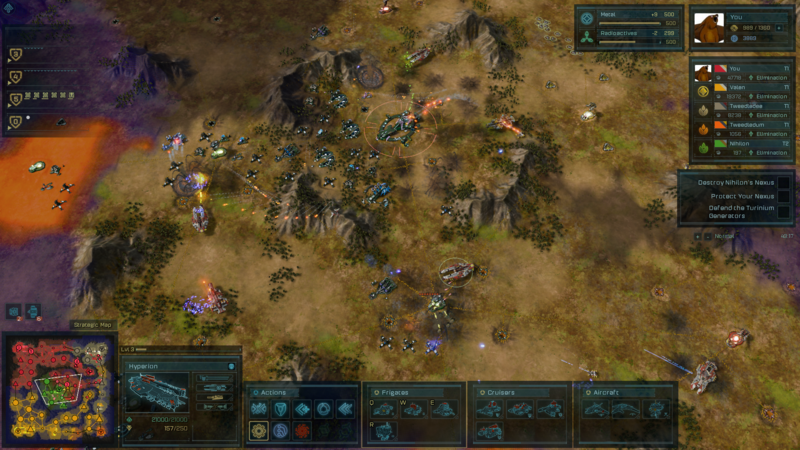 Battleline - A large Substrate army looms across the map, just waiting to attack. 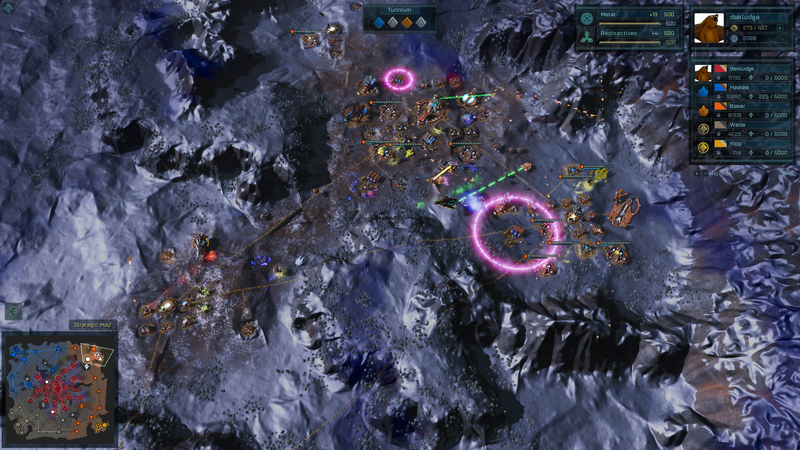 Your base is established and ready to go; now, you only need to push out strong units, maintain your resource levels, and survive. Carnage [PHC] - You’re ready to make your last stand against the massive Substrate army. In the biggest scenario to date, face down 7 enemy opponents while also helping your 6 allies stay alive long enough for you to claim victory. Carnage [Substrate] - You’re ready to make your last stand against the massive PHC army. In the biggest scenario to date, face down 7 enemy opponents while also helping your 6 allies stay alive long enough for you to claim victory. Deadlock - The Substrate are making huge pushes toward capturing valuable Turinium mines. 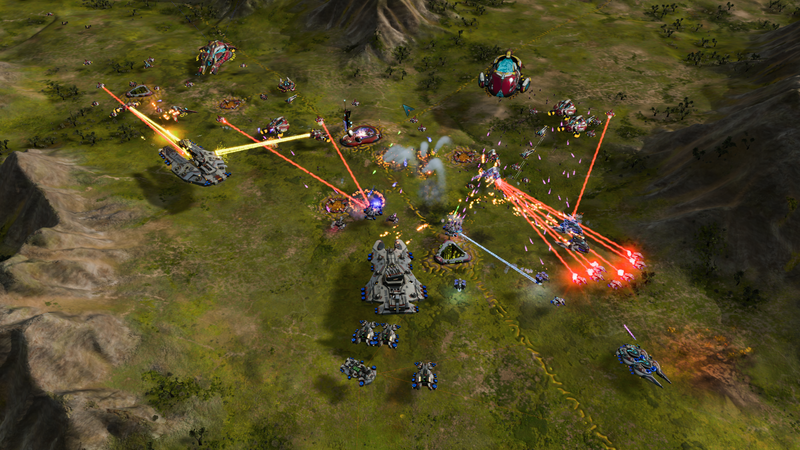 Build up your forces and fight off the enemy before they reach critical mass or overrun you. Entropy - The members of the Post Human Coalition are attempting to overrun your Substrate base before you gain a critical mass of Turinium. Hold them off at all costs. 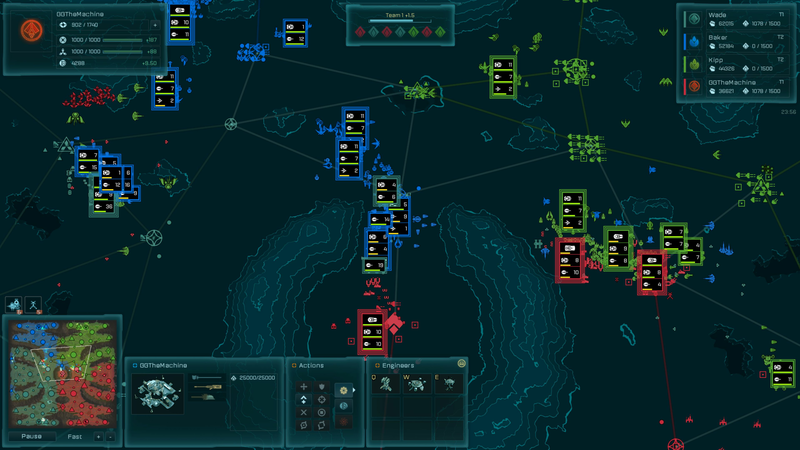 Incursion - The PHC have launched an attack on Substrate territory. You have the initiative, but there’s no one around to help you - you will have to defeat them on your own. Influx - Ventrix has tainted the name of the PHC for long enough. 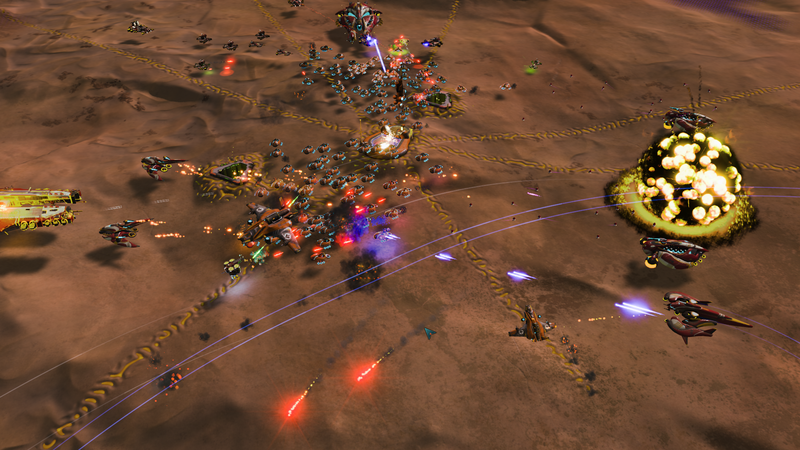 Overcome the scarcity of resources and take him out with vicious orbital attacks. Pummel your enemies into submission with brand new, heavy-hitting Juggernauts! These massive warships may be expensive to make, but they have the potential to dominate the battlefield and turn the tide of a war quickly. 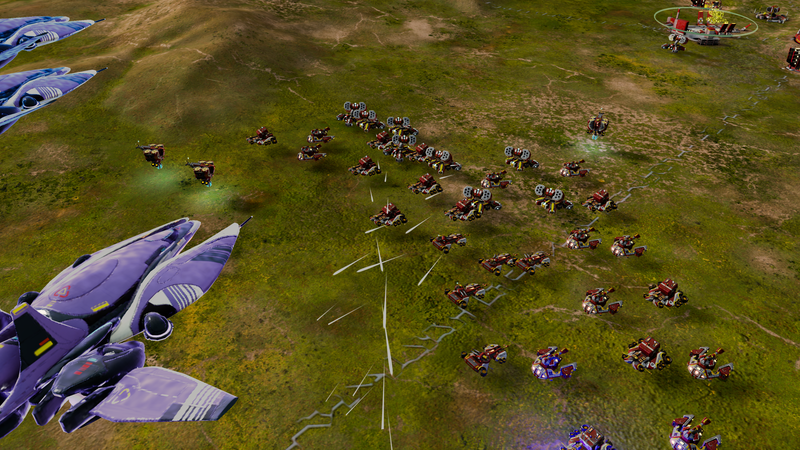 Even just one of them can devastate an entire field of units before backup arrives. The Juggernaut DLC comes with a brand new juggernaut for both the PHC and the Substrate. 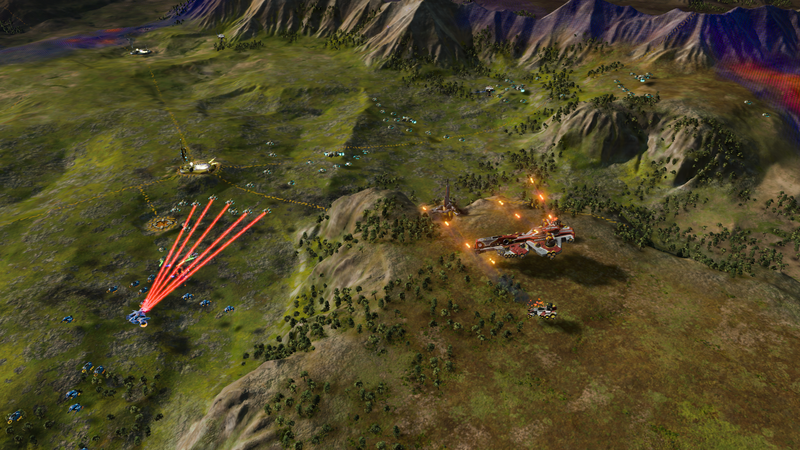 Each warship is unique and complements the units that are already in the game for a more well-rounded army. New Juggernaut: PHC Agamemnon - Designed to annihilate swarms of enemy units and overrun defensive positions, the Agamemnon has the potential to hold territory against waves of enemies for long periods of time. 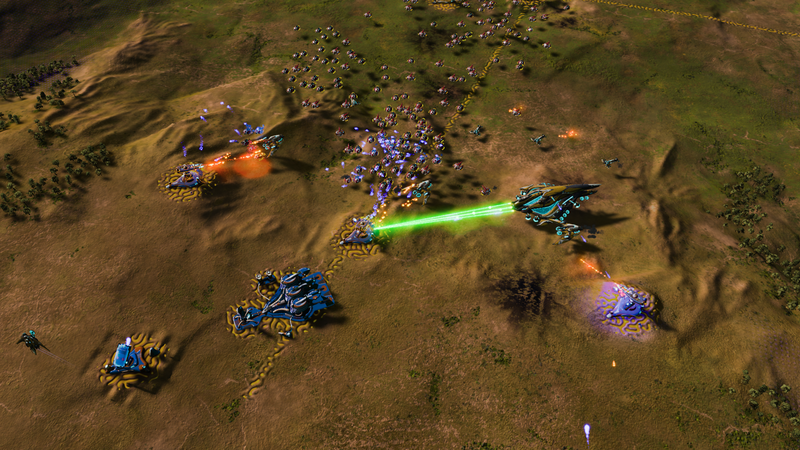 With two rapid-firing laser batteries and tempest missile salvos, the Agamemnon can saturate a wide area with highly explosive shells. Advanced triple-barrel autocannons provide improved defense against air units, but take care when you deploy this ship - it lacks the armor piercing capabilities to be effective against other juggernauts or dreadnought destroyers. New Juggernaut: Substrate Eye of Darkness - The ultimate manifestation of the Substrate’s technological superiority, the Eye of Darkness is capable of rupturing the fabric of space and time to destabilize targets at the molecular level. 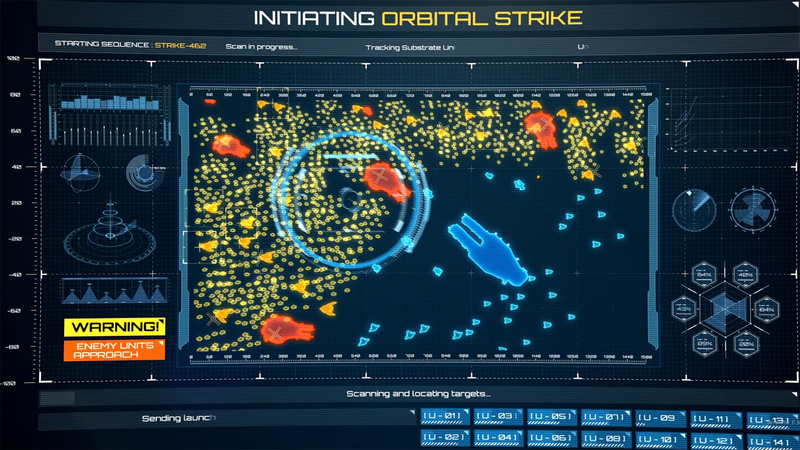 Its full armor-piercing and high area-of-effect attacks make this warship devastating for ground targets. However, be alert: it is the only Juggernaut that lacks any anti-air weaponry, which means that a well-timed slew of bombers could take it down if you don’t plan the accompanying army carefully. Grab a friend (or two or three!) 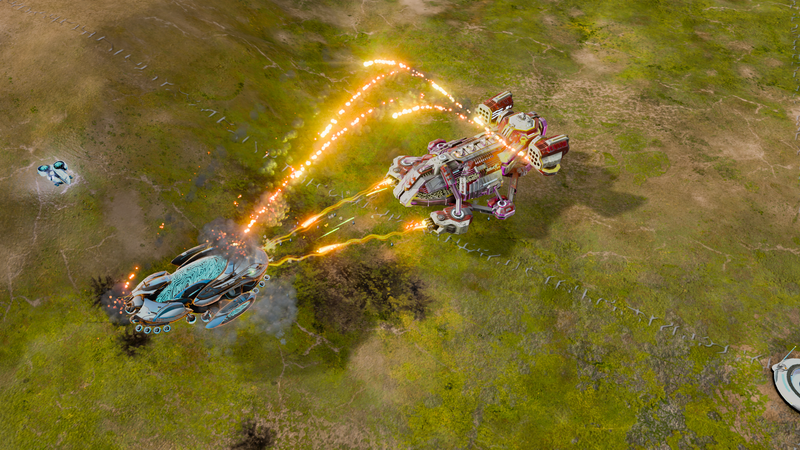 for some epic battles on 9 brand new maps designed specifically for cooperative play. 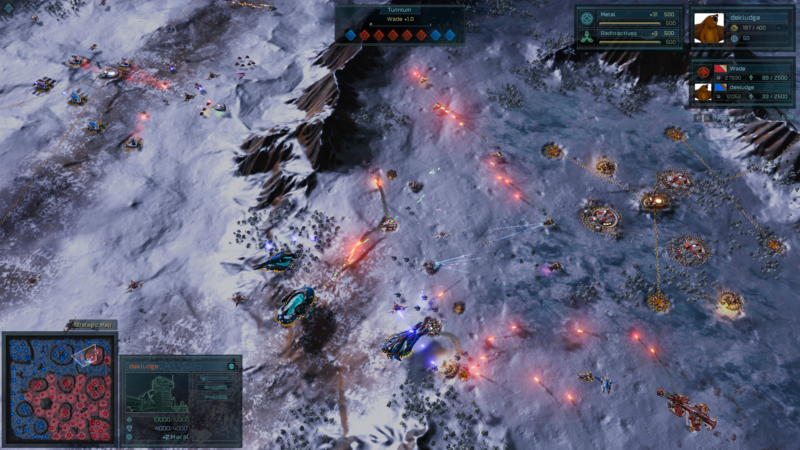 Spawn points are placed to keep teammates close together to allow for combined attacks and strategies. 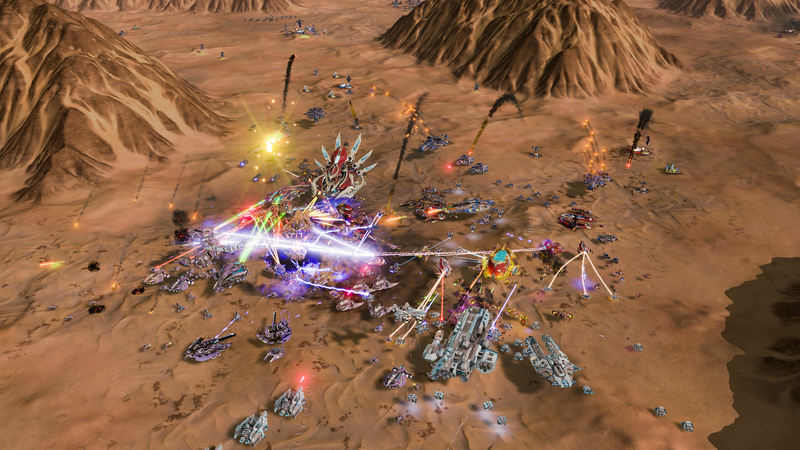 Delta Serpentis - Step into complete chaos in this medium-sized 4v4 arena. Navigate carefully around terrain, but be careful - defenses could be waiting to ambush you at every turn. 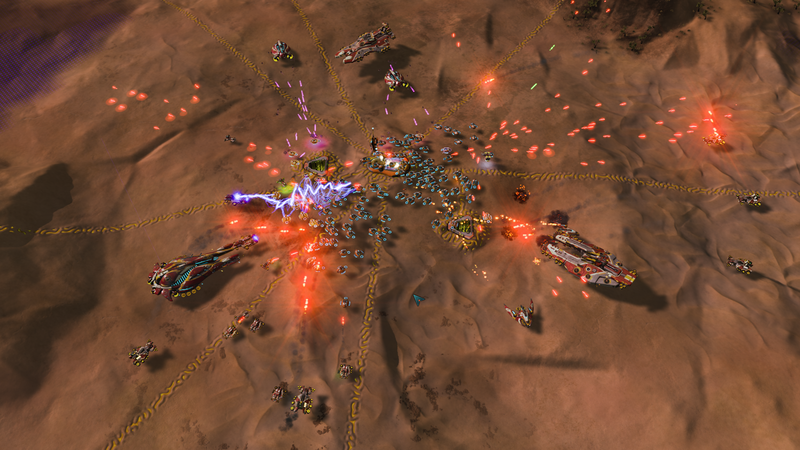 Gamma Draconis - If you like fast-paced and aggressive, this 2v2 desert map is for you. Combine efforts with your teammate for a deadly push through the map’s center, or favor a more devious approach by focusing your enemy’s flanks. Leporis - Build up an economy and grow your army before facing down your opponents. 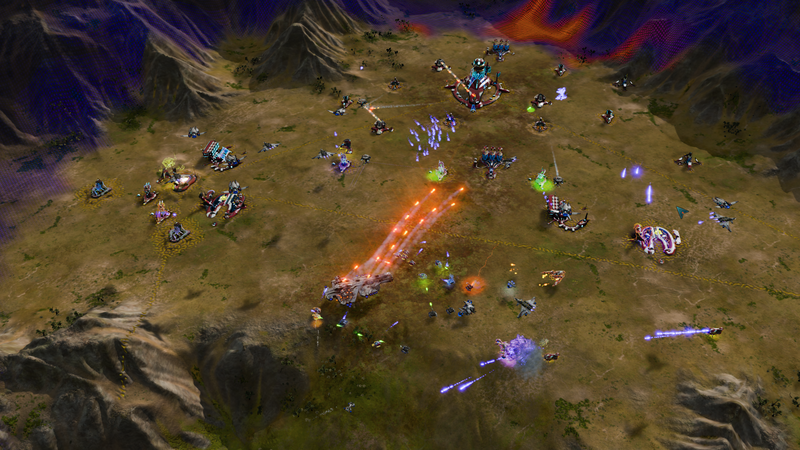 Built for 4 players (2v2) and to give plenty of breathing room, the battles on this map will be large and epic. 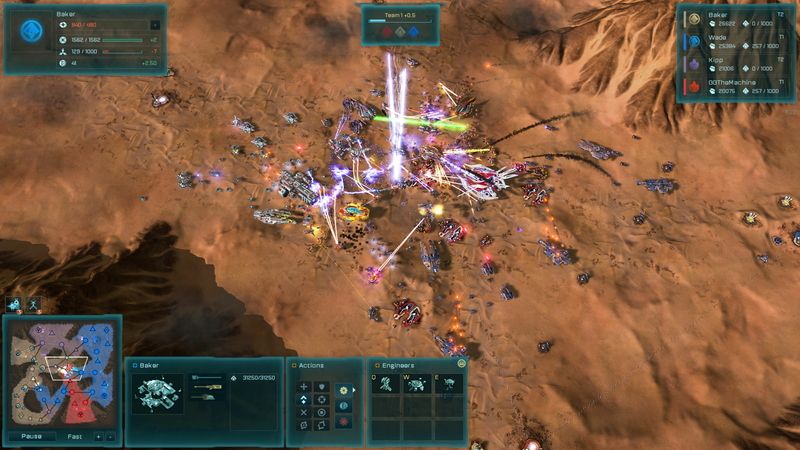 Mirach - Choose your paths carefully on this medium-sized 2v2 desert map. Large mountains and a wide basin limits movement, so you’ll have to plan ahead in order to get the drop on your enemy before they get the drop on you. Merga - This long and narrow 3v3 map is surrounded by lava. Strategize carefully about whether or not you want to duel with your lane opponent, or combine attacks with your teammates for a decisive push. Rigel - A turtler’s dream, this medium 2v2 map has only a single pathway through its center. You’ll need to concentrate all of your efforts onto the central killing field in order to be successful. 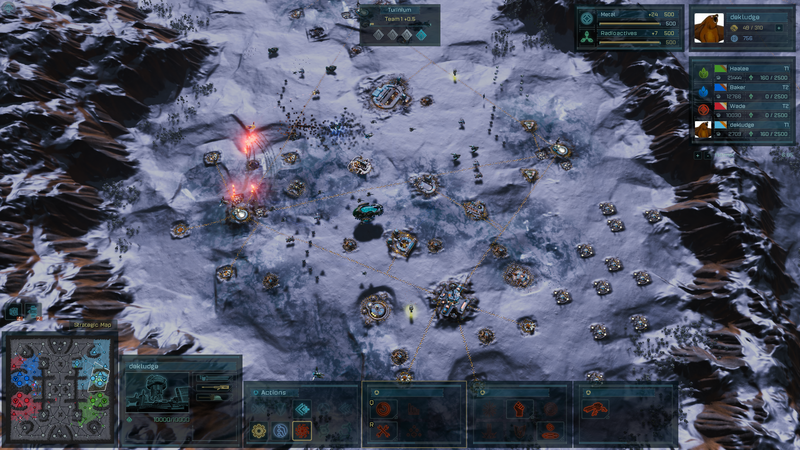 Ross 128 - Narrow choke points and multiple pathways across this small 2v2 map make for different strategies and attack paths. 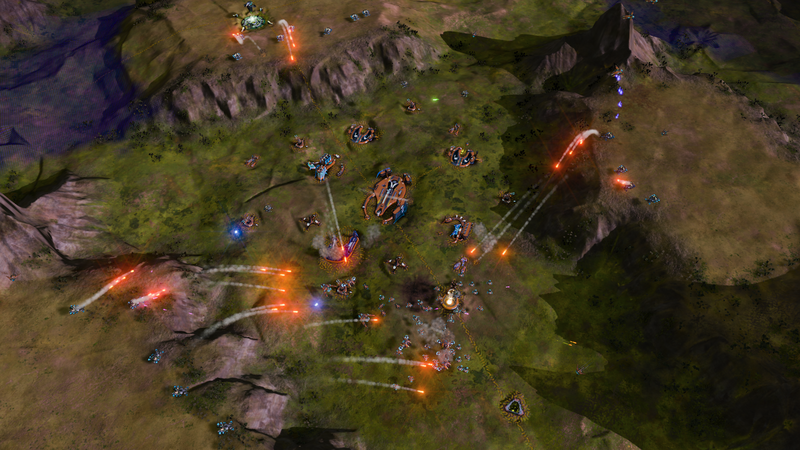 If you’re quick, you can lock down sections of the map and create some serious roadblocks for your opponents. Talitha - For players who like huge, long battles with two team mates, Talitha features a wide open battlefield on the desert lowground and is the biggest 3v3 map to date. Trappist - Designed for 3v3, but playable in many other game modes, the center of this medium-sized map contains a massive stockpile of resources. You’ll have to move quickly to prevent it from falling into your enemy’s hands. Choose your story in this split-faction scenario. As the Substrate, you must rescue your corrupted brethren from the enemy. As the PHC, your only concern is neutralizing both threats entirely. Which battle will you fight? Inception - This split scenario lets you choose which faction to play as! An entity known as Nihilon is back and has corrupted all consciousnesses on the planet of Oneiros. Lead the rest of the Substrate into the fray to learn what Nihilon has done to your corrupted brethren, or command the PHC to destroy both the corrupted Substrate entities and Nihilon once and for all. 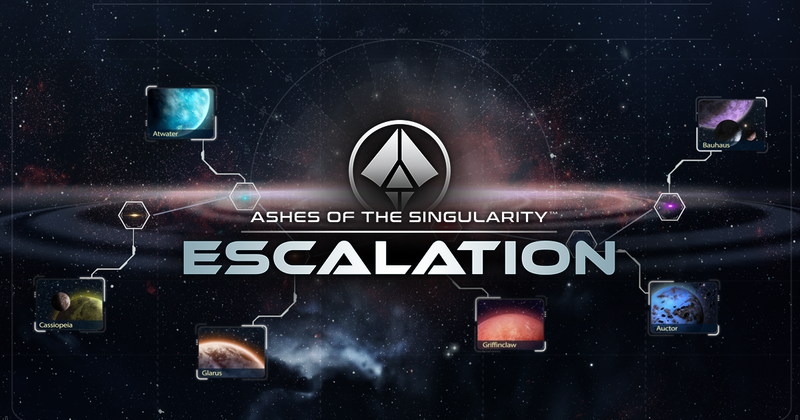 The outcome of the scenario changes based on which faction you choose; play them both to get the full story. Oneiros - Wage war with up to 7 players on this unusual planet. With a strong central starting position, resource-rich but vulnerable north and south positions, and four isolated corner starts, this map is great for a tight free-for-all match. 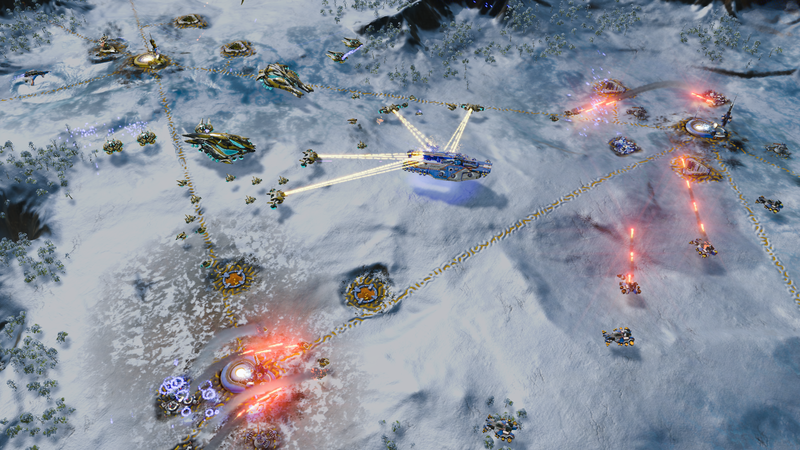 Bayern - This symmetrical Terran map supports up to 3 players. Each starting location is vulnerable from one direction and the massive metal deposits in the middle of the map are enough to lure even your toughest turtler out of isolation. Brasil - This large 10 player ice map challenges you to defend your starting area while you try to make your way to the astoundingly rich central valley without falling victim to your opponent’s attacks. Polska - Up to 5 players can brawl on this desert map with strategically critical hills that command the passages between regions. Holding between 4 and 6 players, each map provides exciting opportunities for free-for-all matches, large team matches, and more. 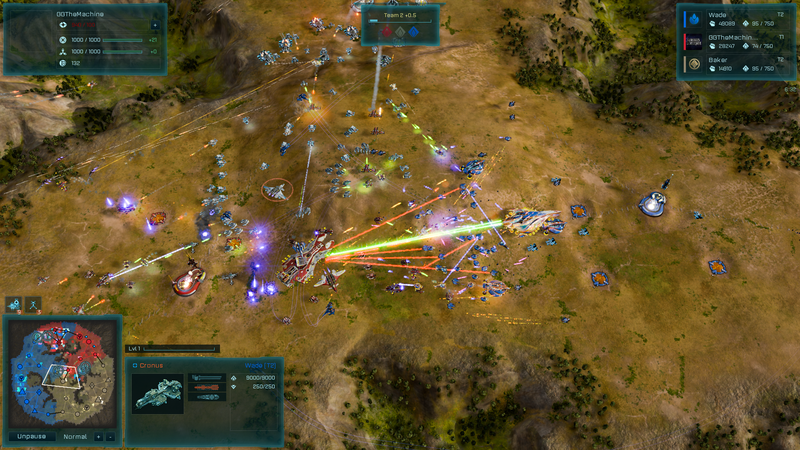 The new scenario will leave you fighting for a planet’s control against the enemy Substrate. Oblivion - A powerful Substrate entity driven mad with power emerges and has turned against even its own kind. With the assistance of your PHC ally, Valen, you must capture and hold the hidden generators in order to call in enough air support to end Nihilon’s threat. Hurry; you don’t have much time before it smashes its way through its former Substrate allies and crushes your base. Caneghem - Navigate the barren lowlands to claim the concentrated resources on the plateaus of this small, four-player map. 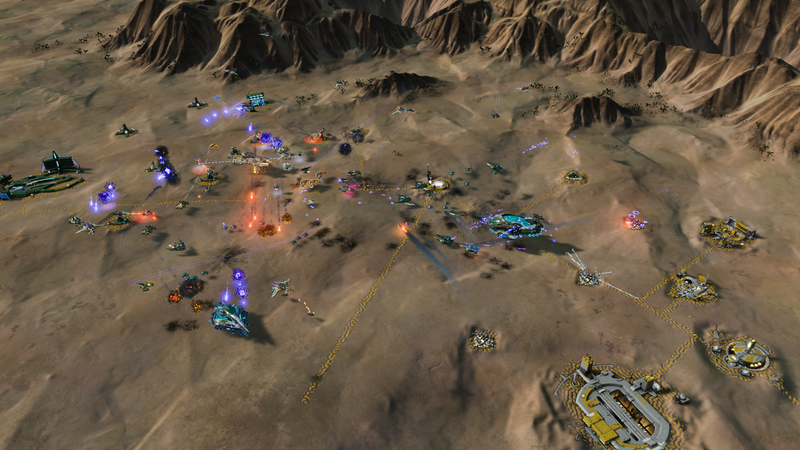 Crawford - Fast and intense 2v2v2 (or 1v1v1) matches await on this medium, six-player map. 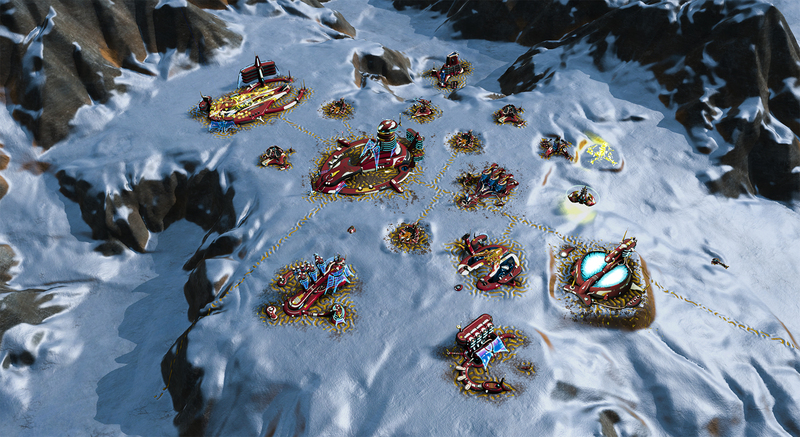 Karnold - Go 4v1 (or 1v4) on this tight, asymmetrical medium map - or try an unusual, but even, 2v2 setup. 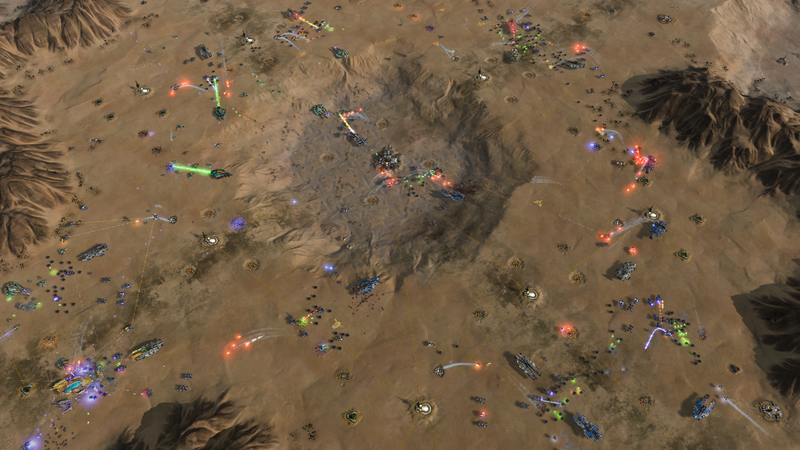 Sirotek - Two starting locations in the center of this canyon maze are exposed to attack, but command massive resources in this small 3v3-optimized map. Walbright - Massive formations clash on the isolated plateaus of this large and resource-rich two-player map. Against all Odds - Intruder, alert! You’ve hacked your way into the Nexus that controls both Turinium generators on the planet Qoshyk, but the 4 Substrate entities controlling the planet are now aware of your presence. 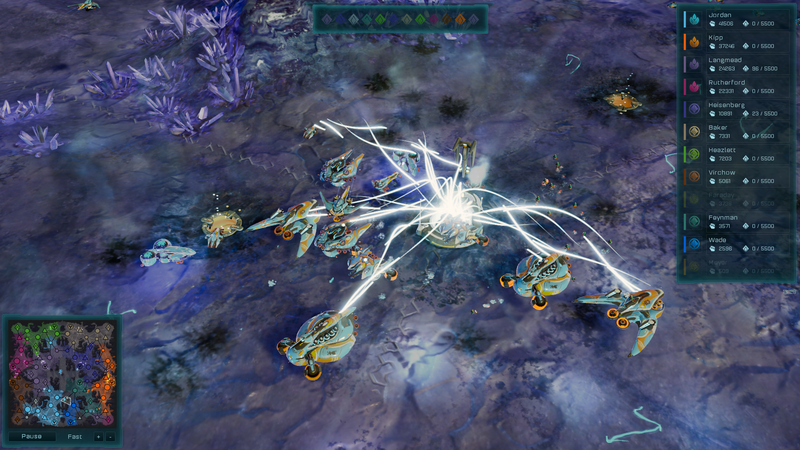 Mac has subverted the nearby Substrate Guardian and the automated construct swarms are being held in check for now, but how long will that last? Anishanaa - This 6-player map contains isolated starting regions that funnel into epic battles along the map’s equator. 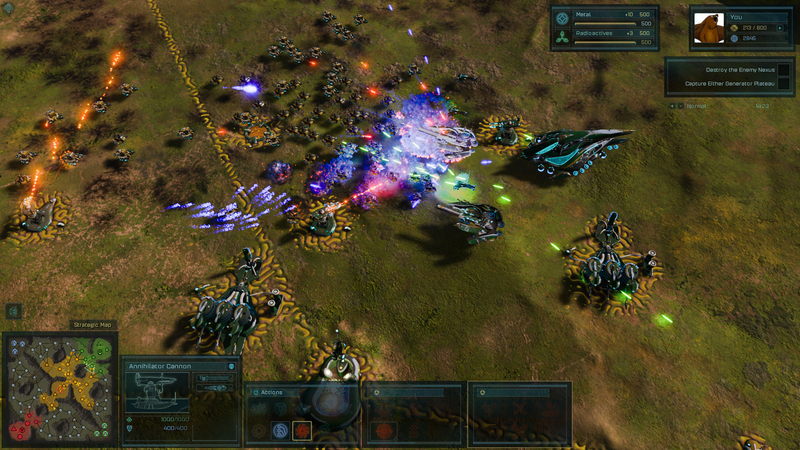 Kursck - Keep your enemies out and your armies flowing by building up defenses on this large, radially symmetrical map. Pinwheel - Endlessly turning one before the other, don’t become too focused on the fight in front of you - the fight from behind will sneak up sooner than you realize. Qoshyk - Two central starting points share a resource-rich plateau. The four outer players must break through to seize the resources - and the Turinium - that are guarded within. Safeire - Choose different teams and starting locations to change the way this map plays. Choosing an Eastern or Western starting point makes for a slower and more expansive game while selecting a Northern or Southern starting point will make for more immediate conflicts. Xenophile - All four Nexuses start in the middle, separated only by thin chasms. 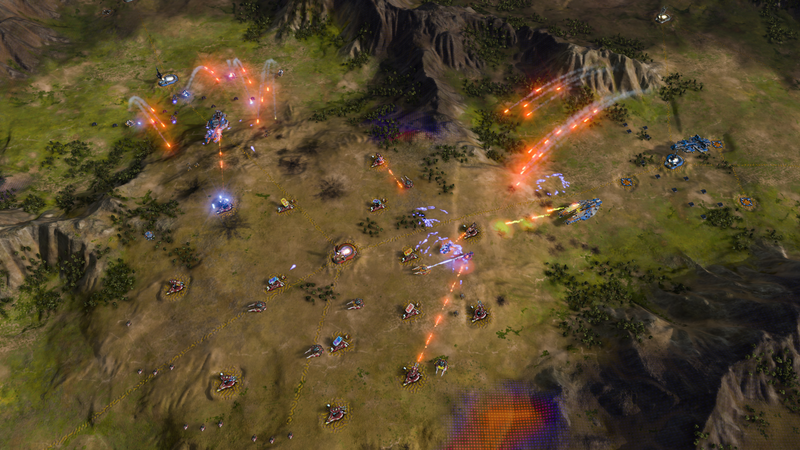 Expand out into the fields to claim all of the resources before your enemies do and seal the victory. Prepare your defenses for any punches your enemies throw at you and be ready to launch a devastating counterstrike to seal your victory in Turtle Wars. Implosion - Race against three enemies to be the first to crack the defenses of a crashed Post-Human and their experimental Turinium Generator. Eruption - Cut off from your factories, you must command a single Hyperion Dreadnought and a scattering of defensive structures to turn the tides of battle. 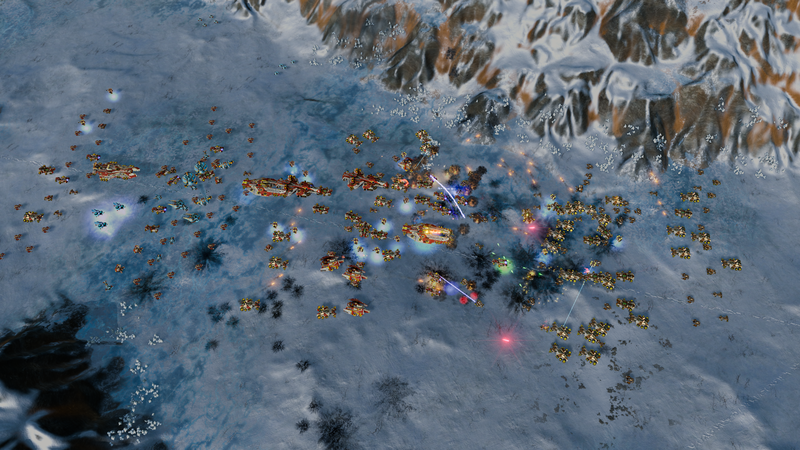 Mountaintop - Exploit your resource-heavy advantage and create massive forces to climb the mountain to the enemy entrenchment and wipe them out. Turtle Wars - Hold off the frigates swarming from indestructible factories and survive the siege. Reprogram the factories to your advantage before the enemy crosses the mountain and finishes you off. Crack the Shell - Hold the high ground and the Turinium against your enemies in this asymmetrical 3-player map, best for 2v1 matches. Turtle Wars - Enjoy a longer duel with your enemy on this epic-scale 2-player map. 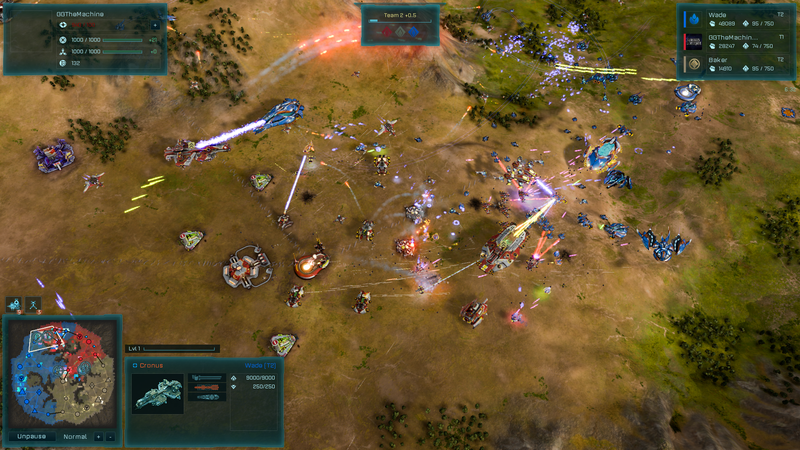 The open landscape with select chokepoints encourages huge armies and larger battles. Eruption - Choose your path wisely - one leads to the lone Turinium Generator, the other to resources in this small 2-player map. 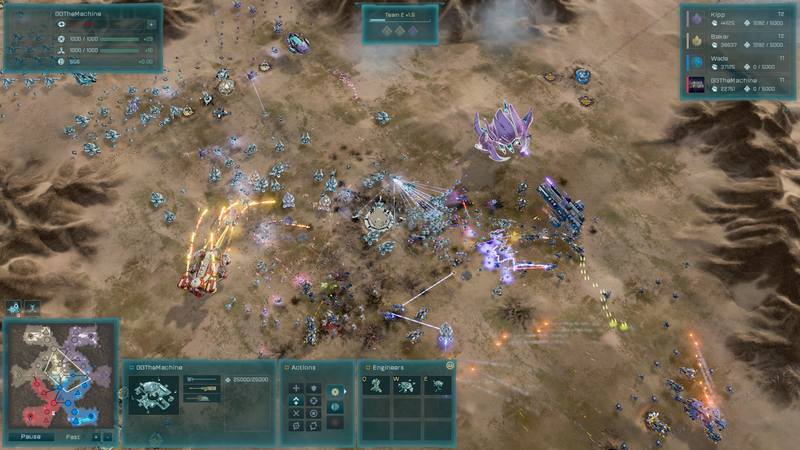 Implosion - One valley with an abundance of resources stands at the center of this large, asymmetrical map fit for a 4-player free for all with huge armies. Tanuk - Enjoy this medium sized and symmetrical map, great for free for all, a 3-team split, or 3 player rumble! This intense map can host up to 6 players. Nightshade - Join up with some teammates for a classic compstop on this large 4-player map, or take on 3 foes by yourself from a strong vantage point. 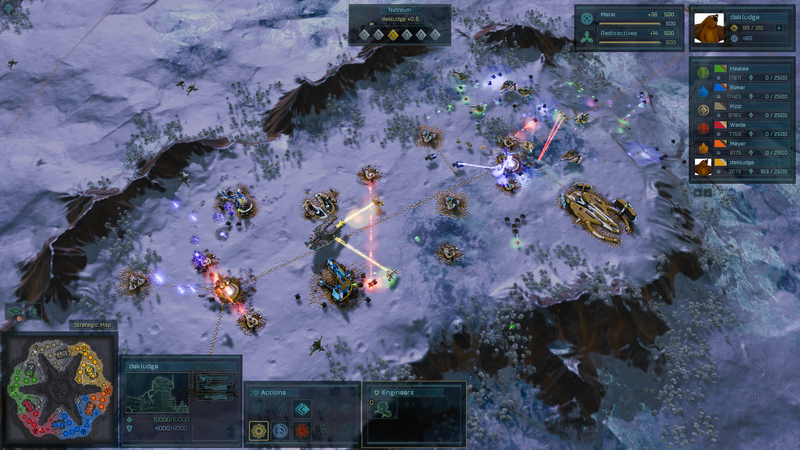 Frontier - Challenge yourself against your friends or the AI in this large, 5-player ice map. 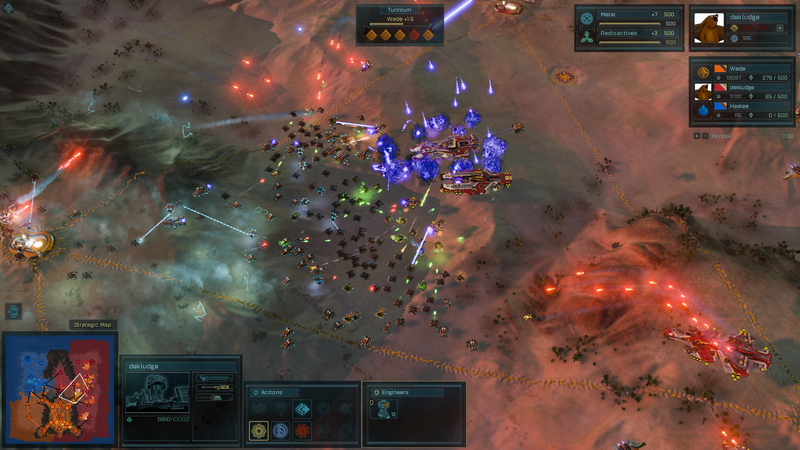 A single player starts in the middle on top of a winding plateau and must fend off the surrounding enemies who are mounting up to strike. Hammer of the Gods - Duke it out for the tempting Turinium Generator in the center of the battlefield or seize control of all of the resource-rich basins on the edges of your territory in this 4-player map, great for free-for-all or 2v2 skirmishes. Delphi - Set up your defenses on one of the plateaus dotting this small, 4-player map. Great for free-for-all or team matches, the generators and resources spread around will be sure to draw any turtles out of their shells. 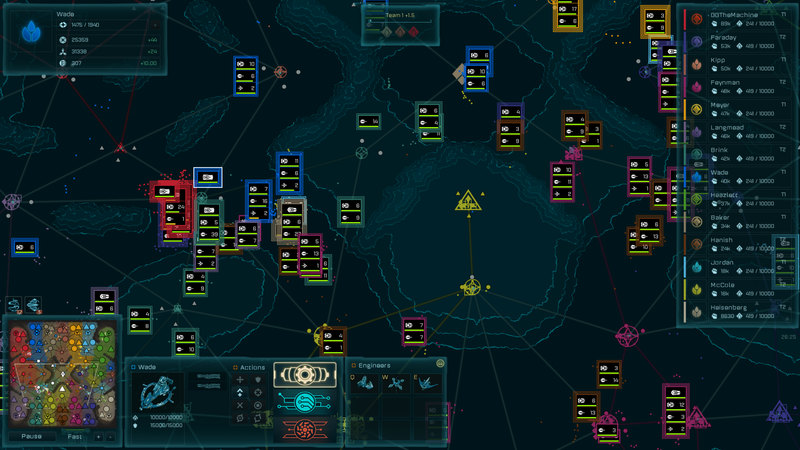 Conquer your foes in exciting new single-player scenarios that will test your strategy and skill. Then, for some multiplayer excitement, explore new maps that range from 2 player skirmishes all the way up to large, 6-player rumbles. 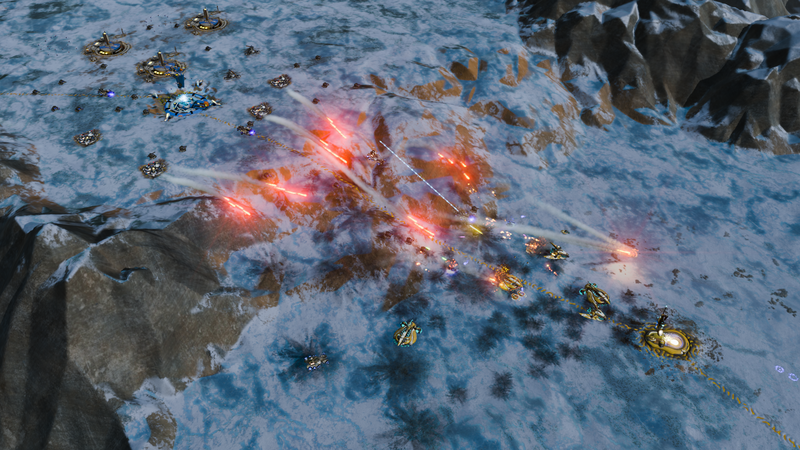 Assault - Massive waves of enemy frigates are flooding and controlling the world of Pythos. Combining your PHC forces with hacked Substrate forces - including a powerful Avatar unit - you will need to fight to turn the tables and take back the world. Enjoy over 90 minutes of high-fidelity music from Richard Gibbs (Battlestar Galactica), Geoff Knorr (Civilization V, Civilization: Beyond Earth, Galactic Civilizations III) and Michael Curran (Civiliization: Beyond Earth, Civilization V: Brave New World, Galactic Civilizations III). This soundtrack DLC contains both FLAC and MP3 formats from the original production .wav files. 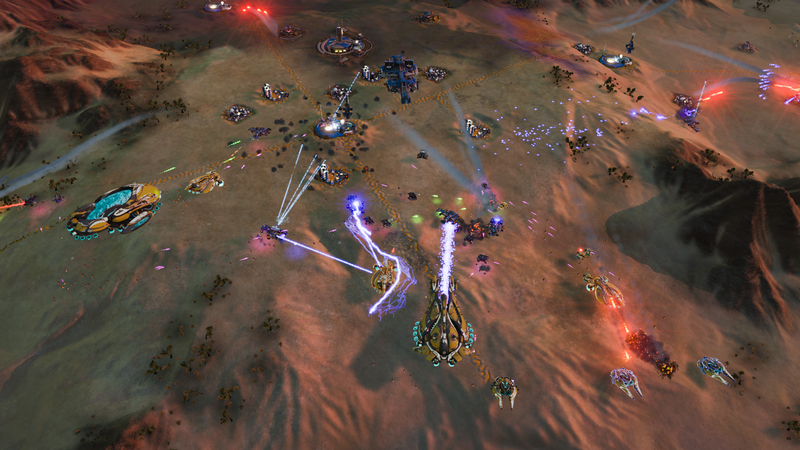 *Requires Ashes of the Singularity: Escalation (sold separately) to play.